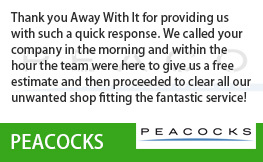 Want a professional and reliable house clearance company in Barking? Away With It is the company for you. Whether you want a couple of heavy items shifting, or have a whole property to clear, no job is too big or small for our team of experts. We tailor services to suit you, and can provide free no obligation quotes and same day collection if it suits you. If you are having building work done, or are in the chaos of moving to a new property, there is inevitably going to be some stuff you want to get rid of. Don’t waste time pondering about what to do with it; Away With It can clear your home whenever it suits you. We can move a single pesky item or clear an entire property. 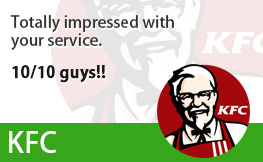 So, whatever is getting on your nerves, we can tailor our service to meet your specific needs. 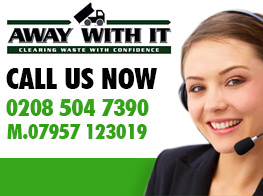 At Away With It, we understand that although you need house clearance, it is not at the top of your priority list. You need a company that can fit in seamlessly with your life and plans. Fortunately, we offer quotes and collections seven days a week, from 7am to 11.30pm. 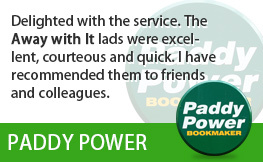 As a result, no matter how tricky you think your needs may be, we will 100% have the capacity to tailor a service to you. It is not just our flexibility that makes us stand out from the crowd. Having been offering expert house clearance for over 10 years, out team delivers nothing less than a professional and seamless service, ensuring you are happy at all times. 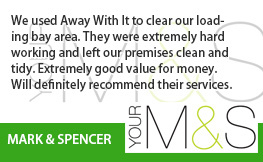 On the day of your house clearance, a two-man team will give you a call to let you know they are on their way. However, you will have discussed a guaranteed a 2-hour slot so that you will not be surprised or stuck in the house all day. We are able to clear almost any non-hazardous waste but if you have any queries, simply just get in touch. Save yourself from any heavy lifting by getting in contact with Away With It today. Leave that weighty fridge freezer and don’t even think about moving those boxes. Why put yourself out when we can handle everything for you? Whatever the amount you need clearing and whether you are in a high-rise or a mansion, get in touch with us to help you with your house clearance. 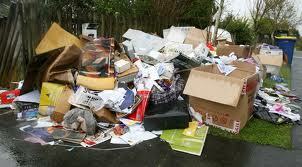 We are fully insured and licensed waste removal experts. 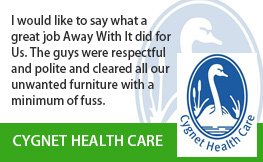 When clearing your house, we abide by all the industry regulations and ensure we leave your property spotless. We also recycle 80% of the waste we retrieve, and you will be hard-pushed to find a better level of service that has a green-thinking initiative. 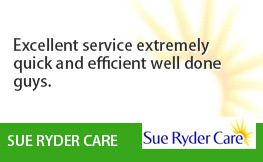 We will arrange a time that is best for you to provide you with a free, no obligation, quote. If you’re perfectly happy, we can then get you booked in for clearance on a date and time specified by you! If you would like to discuss your needs in regards to house clearance in Barking, or would like to receive a free quote from our team, give us a call on 0208 504 7390. We are available to take your call 7 days a week, from 7am, to 11.30pm.